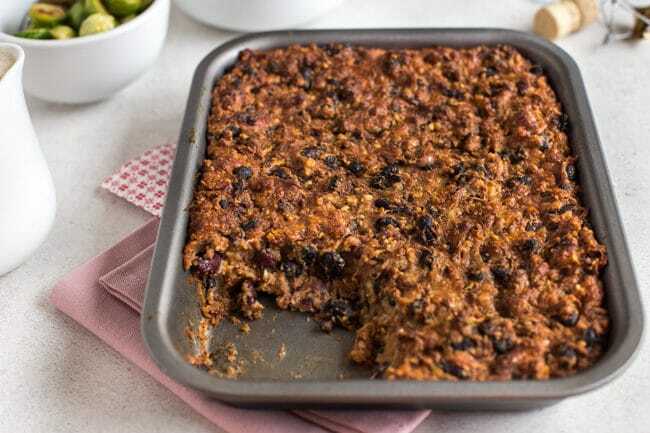 In case I didn’t offer enough vegetarian Christmas dinner ideas for you the other day, here’s one more – a crispy, cheesy bean roast. Nut roasts are a pretty standard option for us vegetarians at Christmas time, but if you don’t like nuts, or you’re allergic to them, I imagine you’d be a bit stuck. 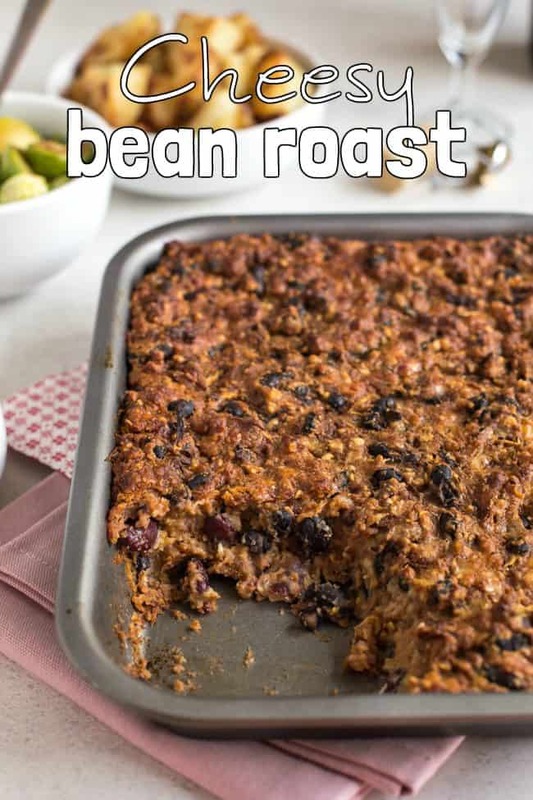 So this cheesy bean roast is a similar idea, but it’s nut-free. Hooray! 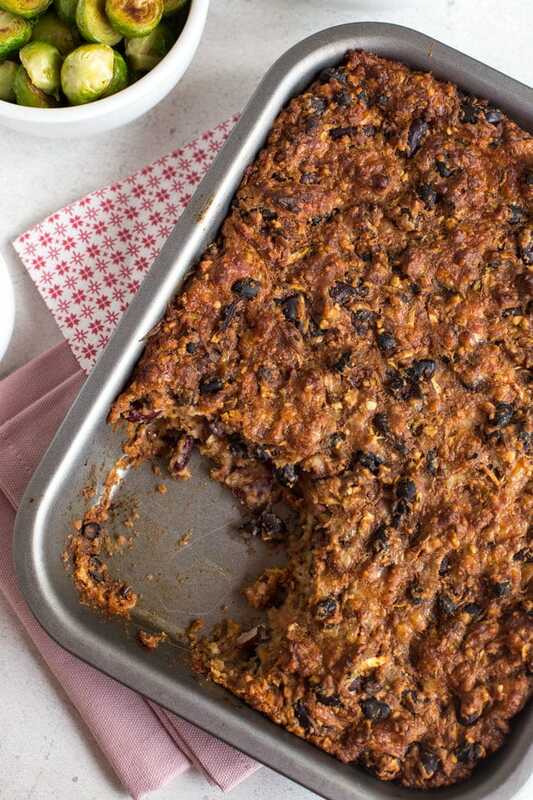 The base of this cheesy bean roast is made from beans (obviously) – both whole beans, and a tin of refried beans. They give a ton of flavour to the bean roast, so make sure you use a brand you love. I use these ones (Amazon UK* / Amazon US*) and I love love love them. They look a bit like cat food, but they taste amazing. They have a little spice to them, but not enough that they’d disturb the usual balance of a Christmas dinner. 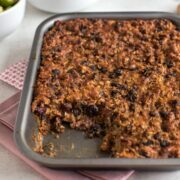 In the past I’ve tried a supermarket’s own version of refried beans, and they were truly revolting – so make sure you know you like whichever ones you’ve chosen before building your bean roast around them! Then you just need to add some grated cheese, oats, and a grated courgette (zucchini), and you’re basically done. The courgette melts right into the mixture and you can barely detect it once it’s cooked, but I like to think it’s adding some extra nutrition. You could cook your cheesy bean roast as more of a loaf if you like, but I think it works best cooked in a thinner layer. The top gets nice and crispy, and it stays softer underneath. The crispy top is the best bit in my opinion, so I say the thinner the better (within reason!). Add some Brussels sprouts, roast potatoes, bread sauce (recipe coming soon! 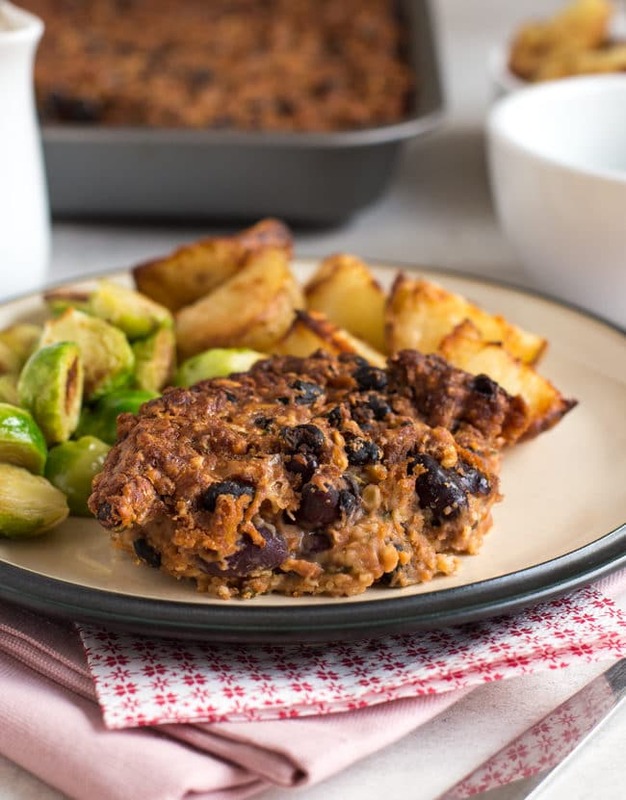 ), and whatever other veggies you fancy, and this cheesy bean roast will give you the perfect vegetarian Christmas dinner. Add the melted butter to a large mixing bowl, and add the flour and oats. 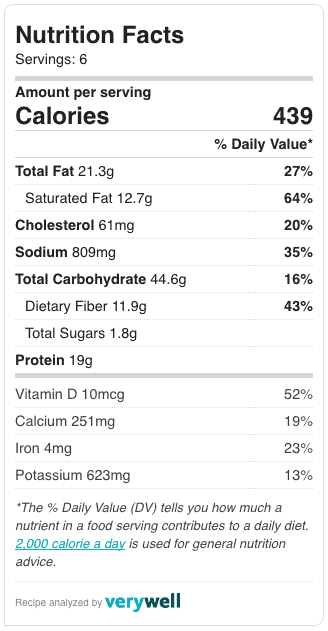 Mix well, then add the remaining ingredients. Mix thoroughly until well combined. Lightly spray a suitably sized roasting tin with oil, and add the bean roast mixture. Spread it into an even layer (you don't need to smooth out the top - any craggy bits will get nice and crispy!). Bake at 190°C (Gas Mark 5 / 375°F) for around 45-60 minutes, until browned and crispy on top. Serve your cheesy bean roast alongside some of my perfect roast potatoes for a great Christmas dinner! * This post contains a couple of affiliate links. If you make a purchase using one of these links, I will receive a tiny (tiny!) referral fee, at no extra cost to you. Thanks for the support! I made this cheesy bean roast for my wife on Saturday . My daughter is moving house and is cooking lots of meals to freeze and asked me to cook some for vegetarians. My wife’s comments were that is quite nice but that the bean mixture was a bit too smooth and we both thought it could do with some tomato in it. I don’t usually cook veggie recipes without herbs but I didn’t add any to this so it seemed a it missing. If I do it again I will omit the refried beans and substitute another sort and perhaps add a tin of tomatoes. I just made this lastnight and was delicious. My family loved it. Thanks so much for sharing. 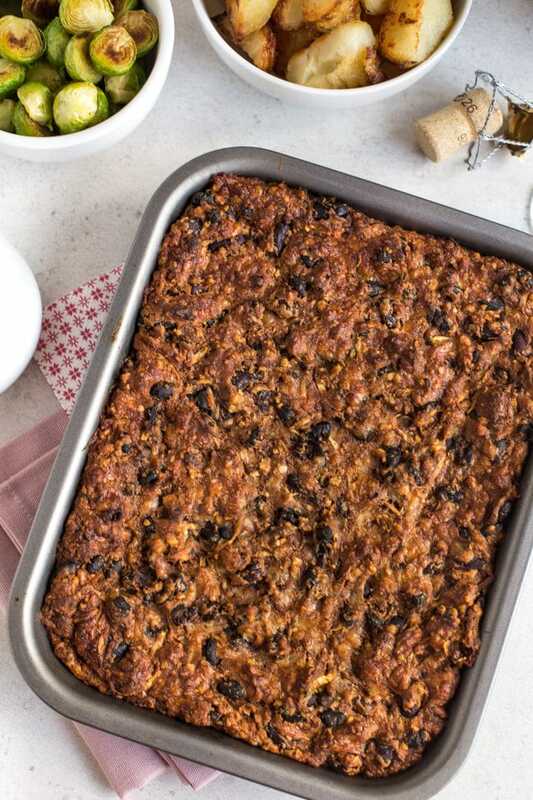 Thank you for sharing this vegetarian Christmas dish. I am actually looking for one so, this is just perfect. Just made this- easy recipe and tasty thankyou. Could it be prepared in advance or frozen etc? That was quick! Glad you enjoyed it :) I haven’t tried freezing it but I don’t see why it wouldn’t work! Oh bum! I bought a fancy pants nut and mushroom roast from Sainsbury’s yesterday and I have just seen this recipe. Looks really easy and tasty; I shall stash it in my memory banks for another day. Looks so yummy!! Can’t wait to try making this over the weekend! Haha! Thank you! Sounds like fun – two Christmases :) Enjoy! The cheesy bean roast looks so good-looking and different. My mouth is watering- can’t wait to make it!